Thank you Get Ready Now for sponsoring this post. 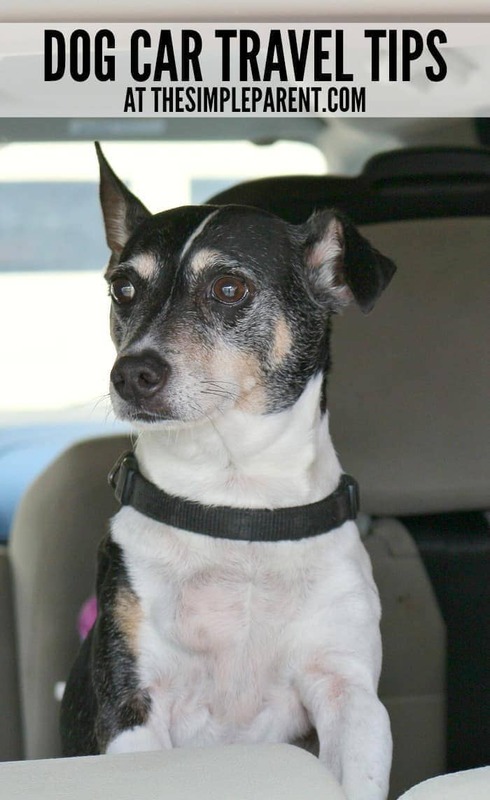 Be Your Own Hero … Responsive | Resourceful | Resilient Our dog car travel tips are inspired by Get Ready Now because we want to be safe when we’re on the road together! There are a few reasons why Toby and Sebastian might find themselves in the car with us. No matter what the reason, they both love taking a ride in the car. 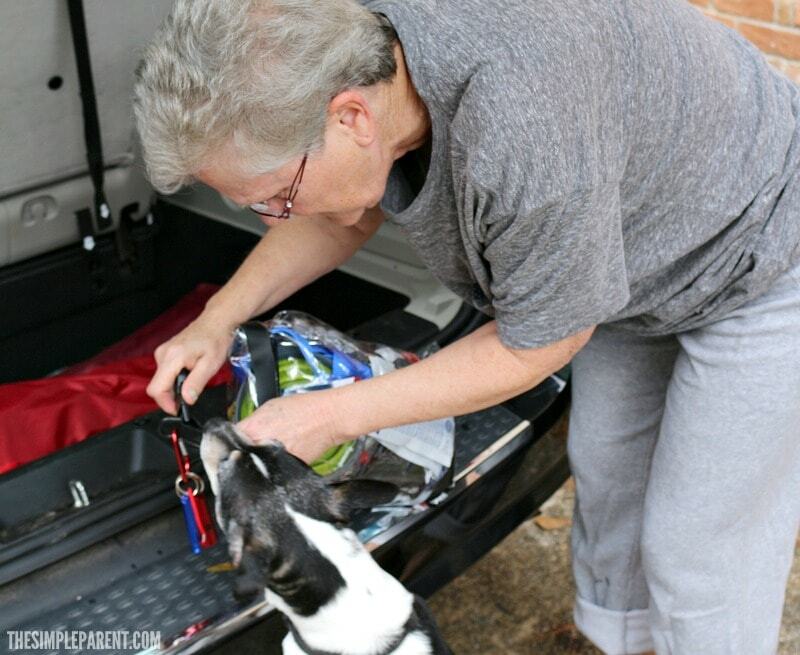 While I feel fairly prepared for short local trips like vet visits, when it comes to traveling with them or preparing for weather emergencies, I don’t always feel prepared. One thing I’ve figured out is that being prepared makes me feel like I can handle anything. Since the dogs are an important part of our family, I like to be prepared to handle dog car travel safety anytime we’re on the road! We’ve got some easy dog car travel tips that we depend on with our guys to make travel with them go smoothly! One of the easiest things we do before a long trip is getting the dogs prepared to be in the car. We do this for road trips and before severe weather emergencies. We do this by taking them on short trips with us in the car. It just takes a bit of planning but they love going to pick up the kids at school! Since we live in an area with a hurricane season, when we know a storm is coming our way, I will take them with us in the days leading up to the weather. I like feeling prepared and it’s really easy to do. We also make sure they have crates that work well for them. As Sebastian has gotten older and bigger, we’ve had to make sure his crate works for him. We want them to be comfortable and safe so I check their crates before every trip. Both of our dogs are microchipped and wear collars with tags. The tags have our contact information on them. This is one thing I recommend to everyone who travels away from home with their pets. 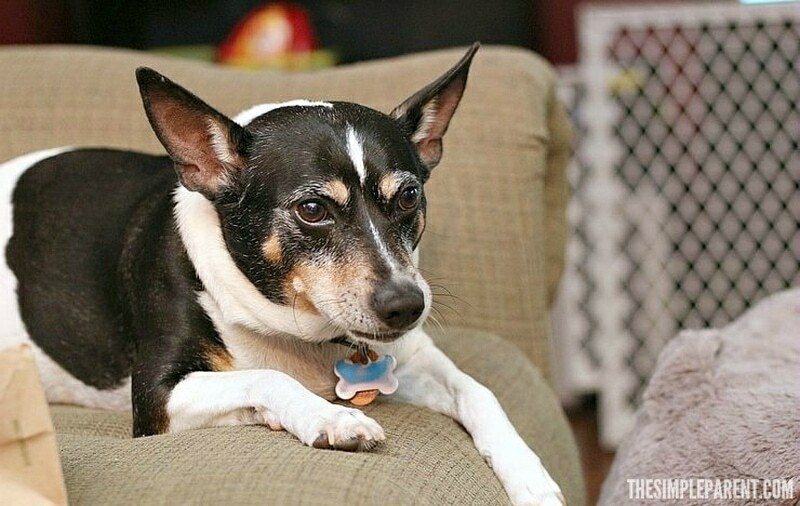 If your pets have tags with your home phone number on it, you might consider getting one for travel that has your cell phone on it since that’s the number you’ll most likely access. 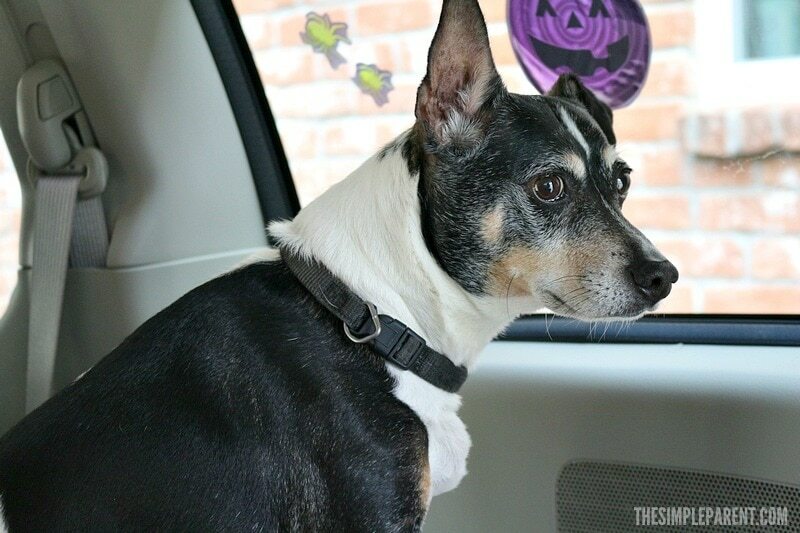 It’s one of the most basic of dog car travel accessories your pet can have! This seems so simple but we’ve run into other pets while on the road who don’t have clear identification and all I can think about is if they happened to wander away while so far from home! 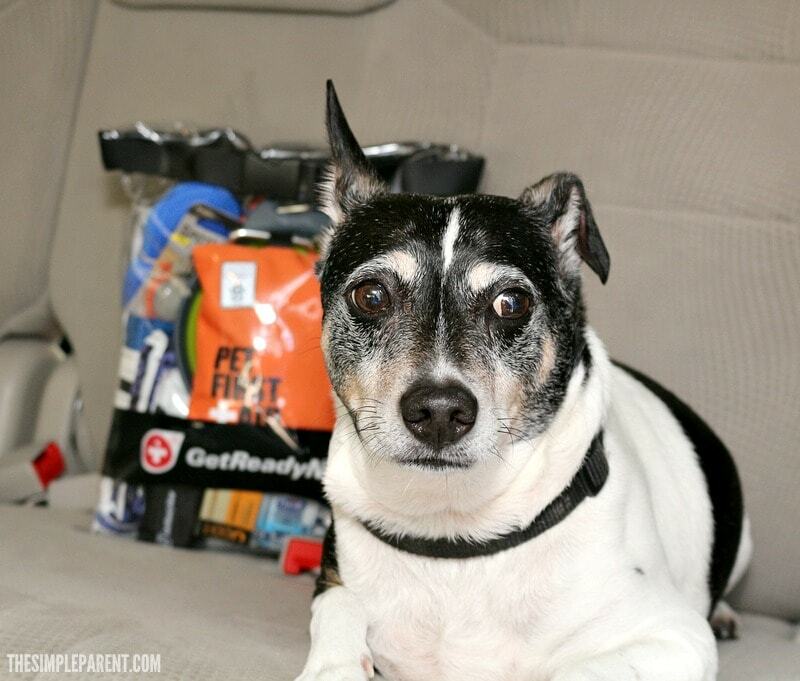 I can admit that these days we’re much more prepared to travel with Toby and Sebastian thanks to dog car travel products like Get Ready Now’s Pups & Peeps Road Combo Pack! 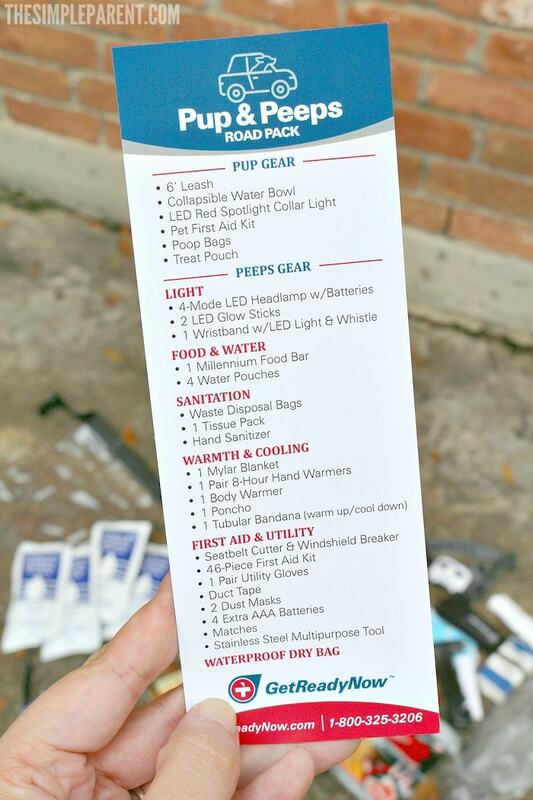 While we were waiting to see the impact Hurricane Harvey would have on our area (thankfully our neighborhood faired well), I started looking into kits that could help us be more prepared in case of severe weather. I want to avoid the scramble in the days leading up to big storms as much as possible! One of my biggest dog car travel tips is to be prepared for anything that might come up while you’re on the road. I realized that I wasn’t prepared to hit the road with the dogs on short notice. But the Pups & Peeps Road Combo Pack is perfect for our car, whether we’re traveling for fun or out of necessity. The bag is heavy duty, waterproof and clear, with everything in the bag ready to use! It’s a car hit designed for me and the dogs! That means I can be prepared without the stress of running around picking up all of the supplies we need! 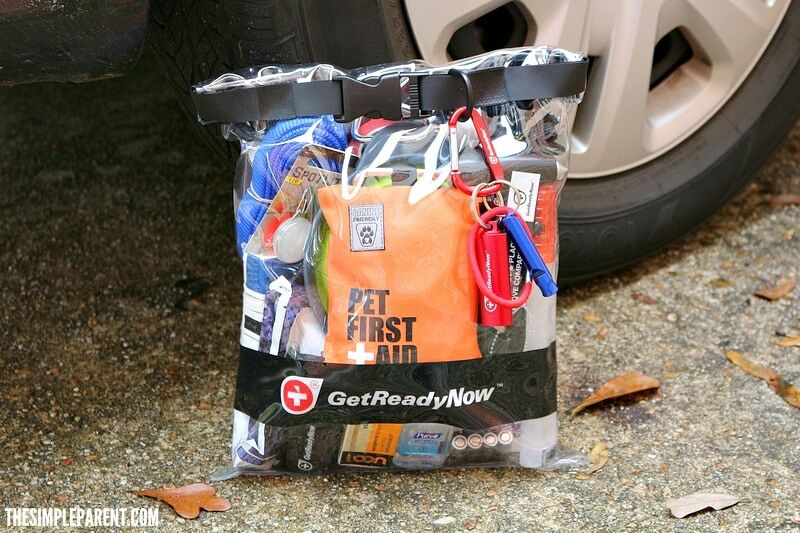 Other vehicle kits provide tools to take care of the car – not yourself and your dog! These are just some of the highlights. 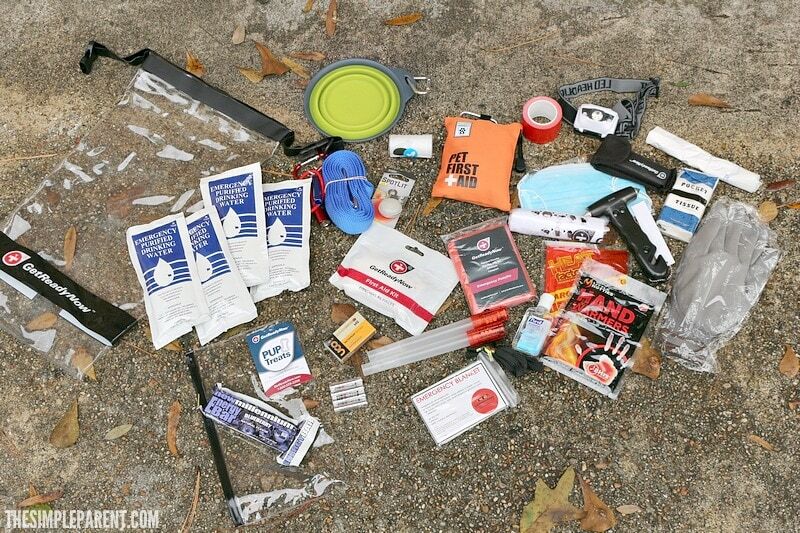 To see the full list of items included, check out the Get Ready Now’s Pups & Peeps Road Combo Pack site! I’m now feeling much more prepared in terms of dog car travel safety when hurricane season rolls around again. But for now, we’re planning on putting our dog car travel tips to use on our next road trip with Toby and Sebastian! The kids think it would be a blast to take them camping with us! I have to admit, I’m looking for a nice, pet-friendly hotel! Either way, I think our dogs will be excited to hit the road and I feel great knowing we’ll be safe in case of any emergencies!